Drew Angerer/Getty ImagesSen. Marco Rubio. Republican Sen. Marco Rubio told GOP leaders he would not vote for their tax bill unless the child tax credit is made more generous. Rubio has also decried the drop in the top individual tax rate in the compromise bill. Republicans can lose only two votes in the Senate to pass the bill – and with Bob Corker likely to oppose it, Rubio’s defection would leave them with no margin for error. Republican Sen. Marco Rubio on Thursday said he would vote against the final GOP tax bill unless the child tax credit is made more generous. 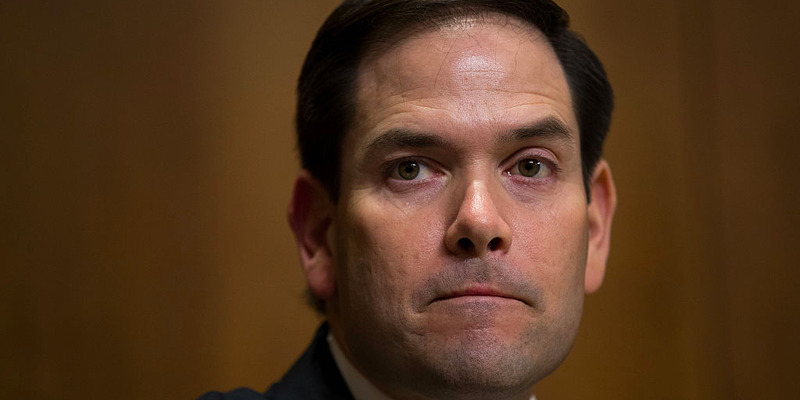 “Senator Rubio has consistently communicated to the Senate tax negotiators that his vote on final passage would depend on whether the refundability of the child tax credit was increased in a meaningful way,” a representative for Rubio told Business Insider. Before the Senate voted on its version of the tax bill, called the Tax Cuts and Jobs Act, earlier this month, Rubio and Sen. Mike Lee introduced an amendment to make the credit deductible up to the payroll tax level. The move would have made the credit more generous for many low-income families, though it was defeated. Republicans on Wednesday struck a deal on a compromise bill that reconciles differences in the House and Senate versions passed in those chambers. A representative for Lee said the senator had not made up his mind on the bill. “Sen. Lee continues to work to make the CTC as beneficial as possible to American working families,” the representative said. Rubio had been incensed when reports indicated the conference committee, tasked with coming up with the compromise bill, was nearing an agreement to make the corporate tax cut less generous and cut the individual tax rate for the wealthiest Americans. If Rubio defects, the GOP would have no room for error in the Senate. Republicans control 52 seats, meaning the party can lose two votes to pass the bill, as Vice President Mike Pence would break a tie. Republican Sen. Bob Corker voted against the Senate’s version of the bill, citing concerns with the amount it was projected to add to the federal budget deficit. GOP leaders say the compromise bill will be released on Friday and expect a vote early next week.